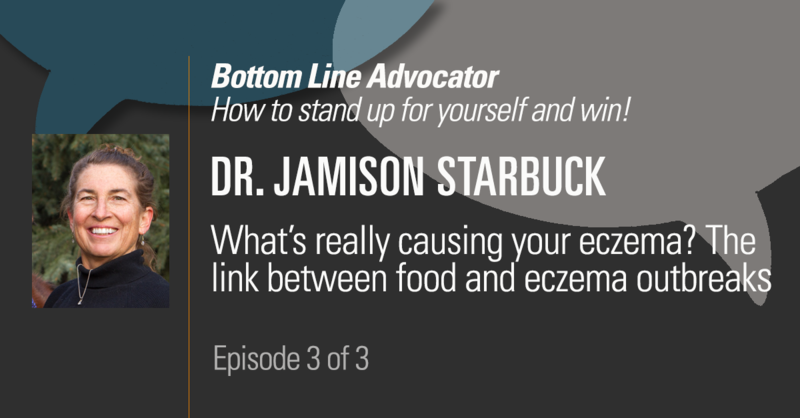 The link between dietary choices and eczema flare-ups is well-researched and well-documented, yet doctors don’t talk about it…and they don’t treat it. Bottom Line CEO Sarah Hiner discusses this outrageous oversight with Dr. Jamison Starbuck in this edition of The Bottom Line Advocator. Problems with our skin are the manifestation of a problem on the inside. Ointments and creams won’t heal those. But Dr. Starbuck knows how.